Arts charity Wise Thoughts will showcase exciting films by established and emerging film-makers, to reflect the plethora of cultures and communities that come together to make up the LGBTQI (Lesbian, Gay, Bisexual, Transgender, queer & Intersex) communities. 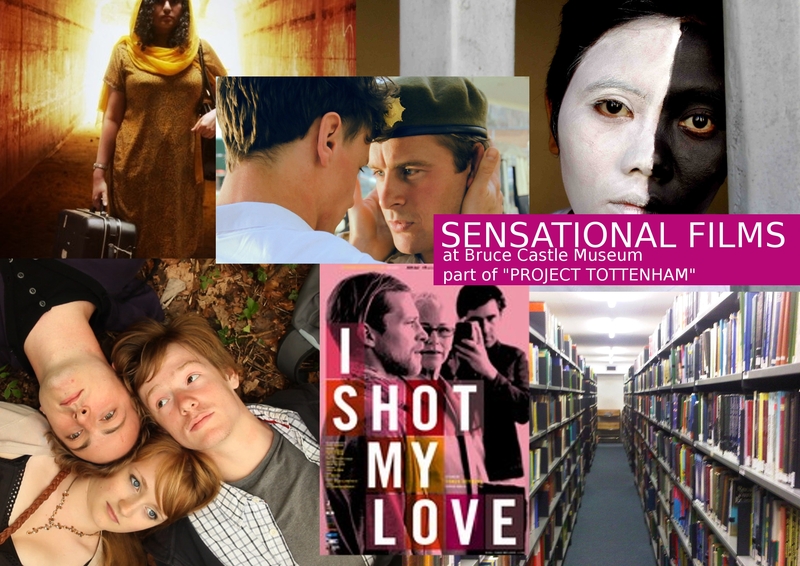 Two FREE screenings will be held on Saturday 29 September at Bruce Castle Museum and are supported by Film London, The Mayor of London & Haringey Council as part of ‘Project Tottenham’. Homecoming / 1.4 min : An emotional short film on ‘equal marriage’ by Mike Buonaiuto. Beloved / 4.15 min : Flicking between two worlds of fantasy and real-life, we feel the pain of unrequited love. 15-19 year-old worked together to produce the film. Filmmaker: Daniel Zinkant. I shot my love / 70 min: Tells a personal but universal love story and follows the triangular relationship between Tomar, his German boyfriend, and his intensely Israeli mother. Filmmaker: Tomar Heymann. Expectations / 16.12 min: Sam is a young student who holds a secret.. it is the story of one man’s conflict between how the world is, and how he perceives it to be. Filmmaker: Harrison Marsh. Rites of Passage / 20 min : A documentary that examines issues of transsexualism, religion, and traditionalism against the backdrop of a single person’s dramatic journey. Filmmaker: Jeff Roy. Children of Shrikandi / 74 min : Eight authentic stories are interwoven with beautiful shadow theatre scenes that tell the story of Srikandi, one of the characters of the Indian Mahabharata. A first film about queer women in Indonesia, the country with the world’s largest Muslim population. Film by The Children of Srikandi Collective. Wise Thoughts organises GFEST – Gayewise FESTival, recognized as London’s LGBTQI cross-art festival for all. Lecture Hall at Bruce Castle Museum, Lordship Lane, London N17 8NU Tel 020 8808 8772 Nearest Tube: Seven Sisters / Wood Green Buses: 123/ 243. Next Next post: A Film explores why coming out might still be difficult for gay people today!